If you’re a regular reader, you’ve seen that I’m adding lot’s of color around here lately. 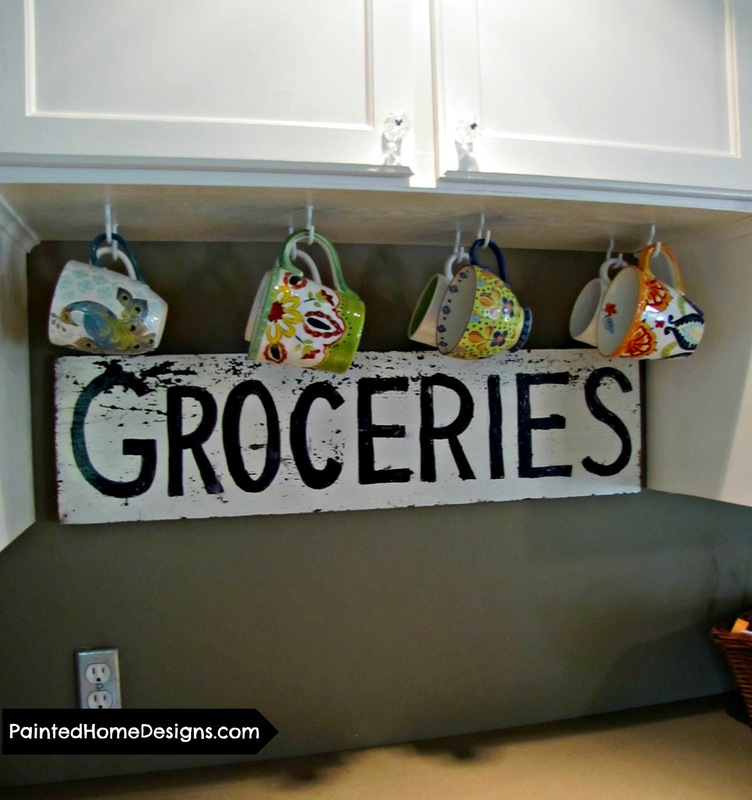 After a recent trip to Homegoods, I found a way to add color to our kitchen as well. 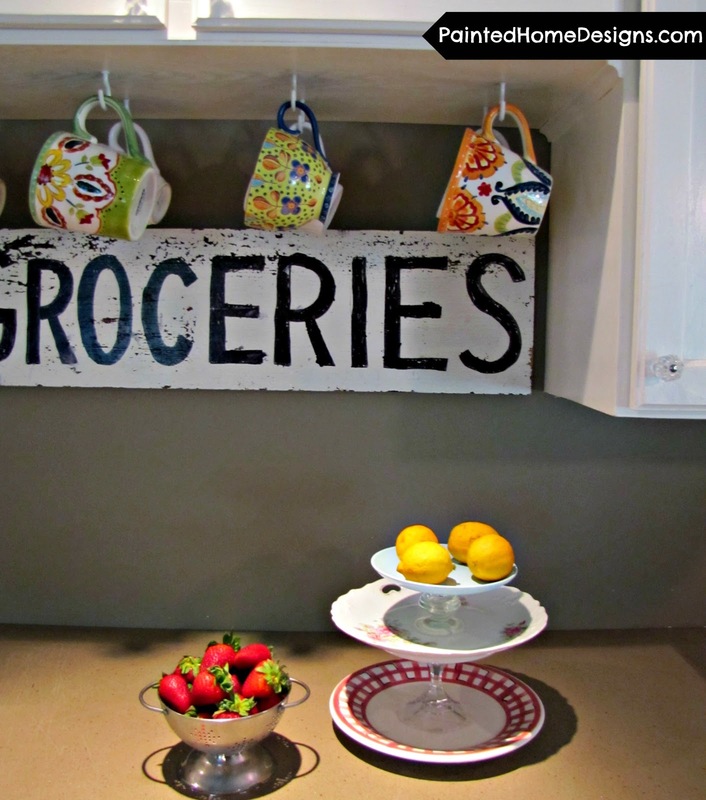 These coffee mugs were the perfect addition to our Spring kitchen! Those cups are so beautiful and I love that sign, too!! I think I'm going to go find some cool mugs like that today for a summer display in my kitchen. You just inspired me. Seriously. Love the look you created with the sign in the background. The cups look like the ones they have at Anthropologie right now. Gorgeous! I never go to HomeGoods and leave without a bag filled with "goodies"! Those cups are so colorful-I know what you mean about adding color- the more the better! How lovely!!! And I love those mugs/teacups (Anthropologie, right???) Love it!